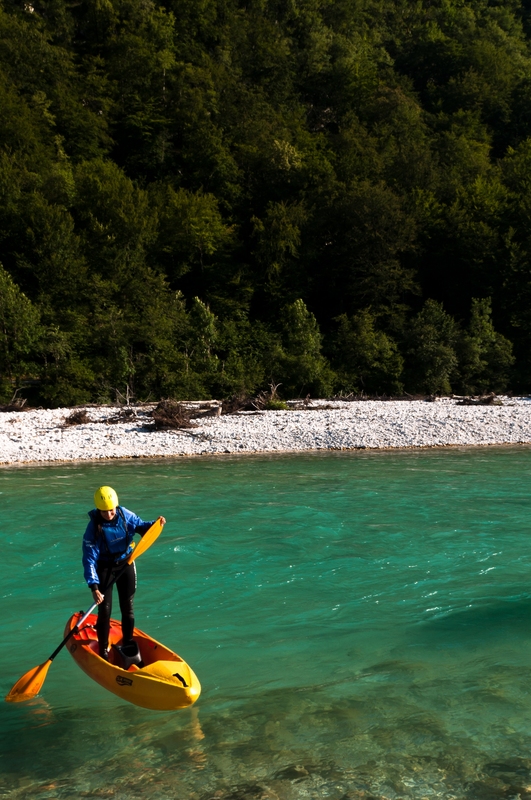 Feel the river and discover its hidden corners. 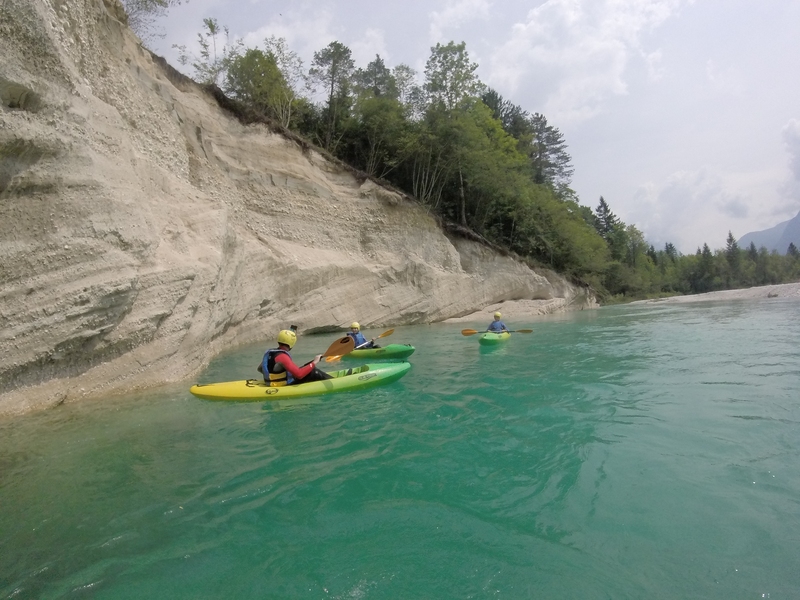 If you want an unforgettable experience in which you can try yourself in paddling on the Soca, you will not regret that you choose a kayak trip. 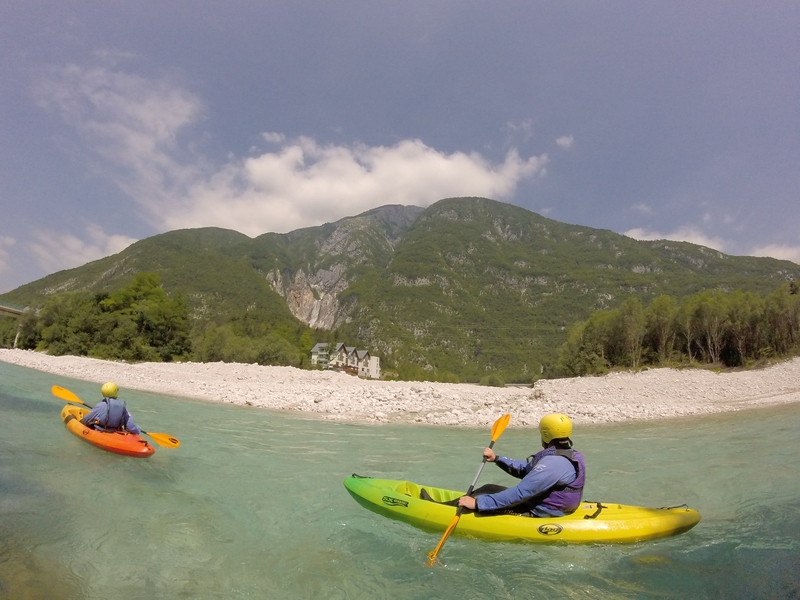 This activity is suitable both for those who already tried kayaking and for beginners, as our guides will do their best to give you the necessary or additional knowledge in a way that will be as fun as possible. 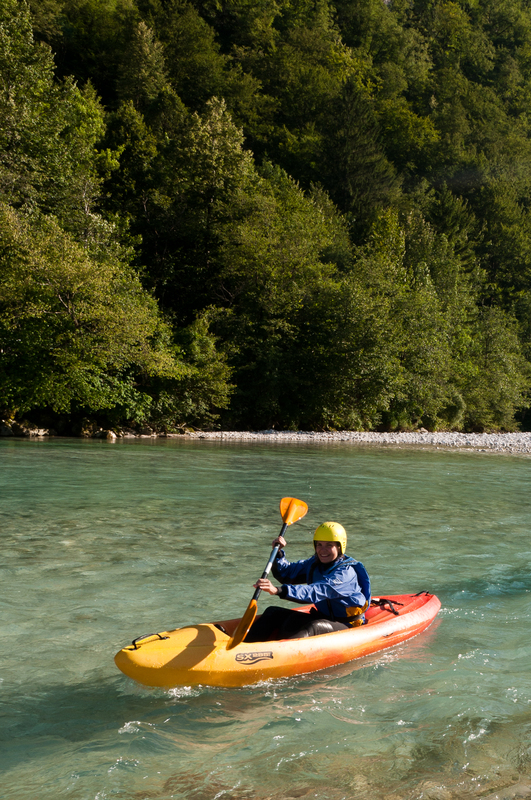 You can choose between classic kayaks (in which you are covered with a skirt) or sit on top kayaks, which are easier to handle and more stable, and therefore more suitable for beginners. 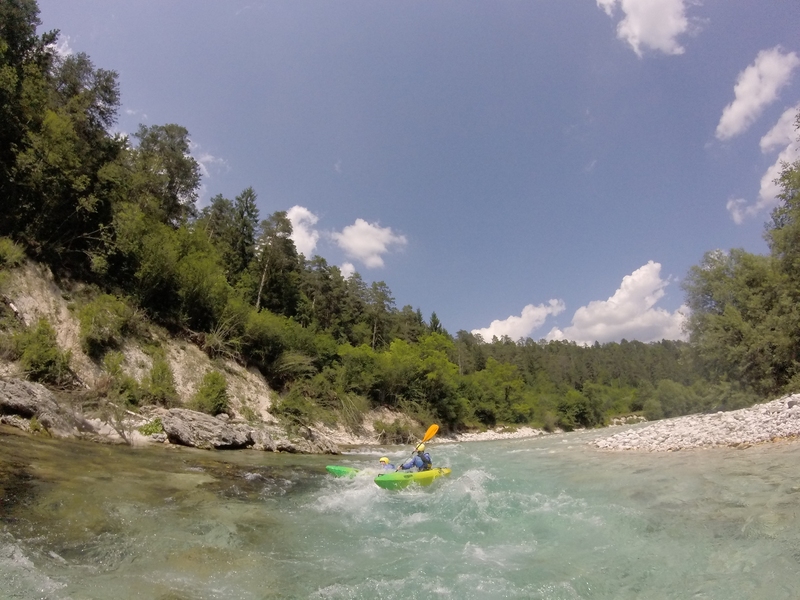 Depending on the experience, our guides choose the section of the river, which is the most suitable for an unforgettable experience. 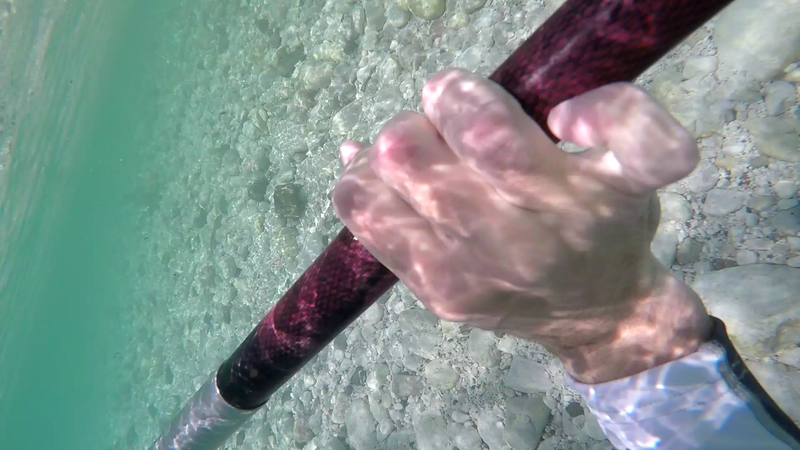 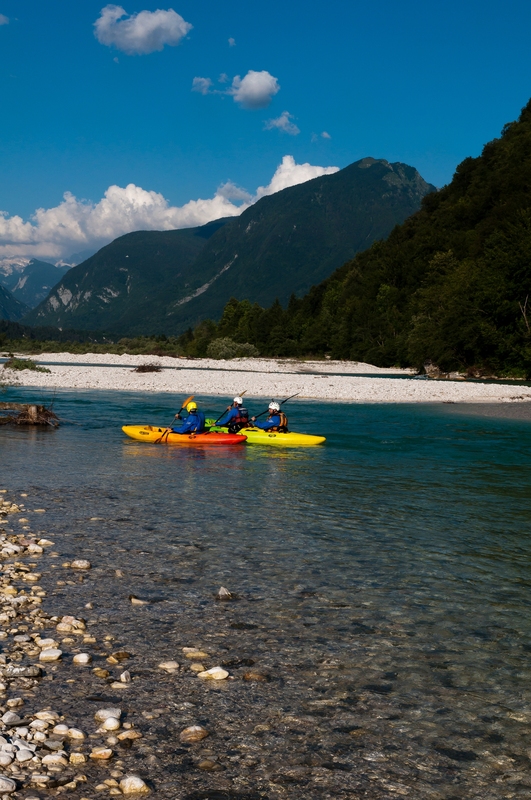 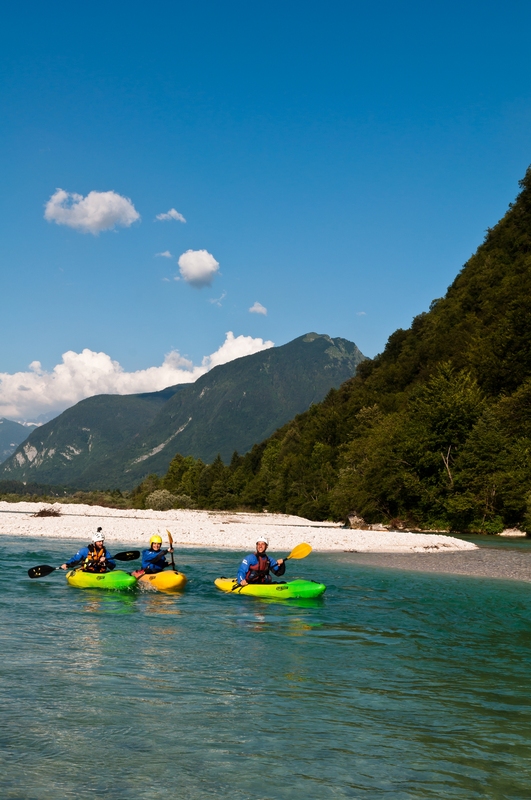 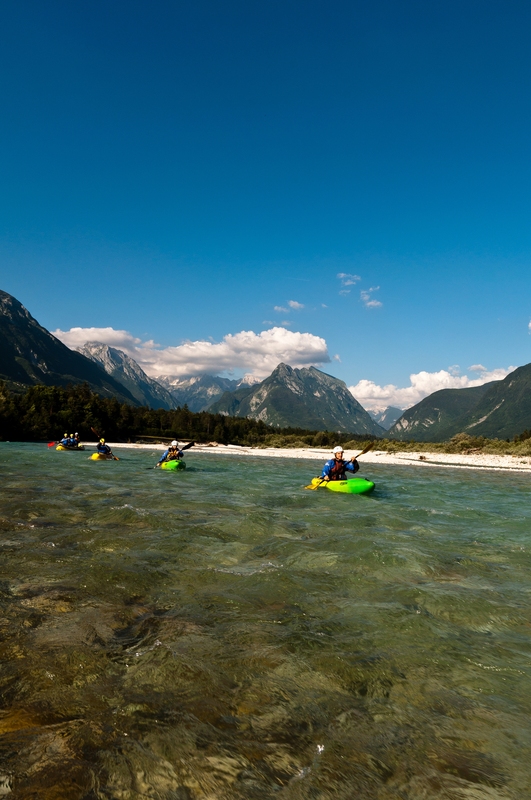 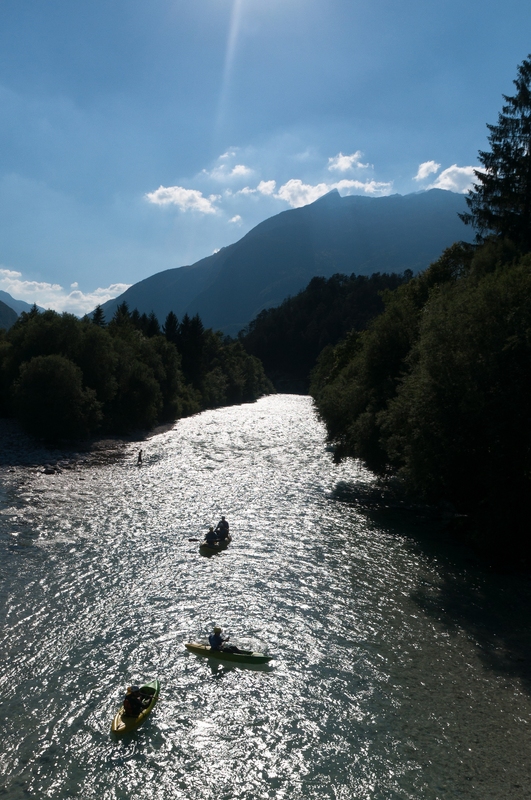 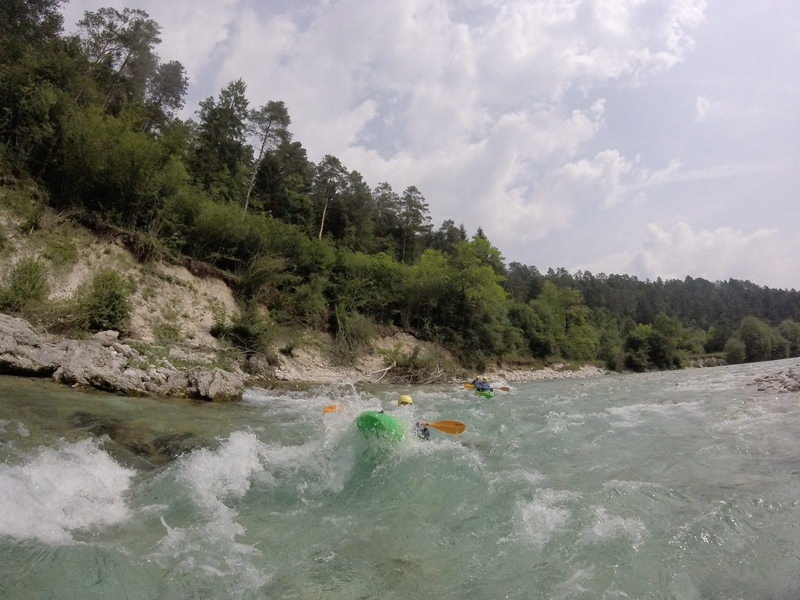 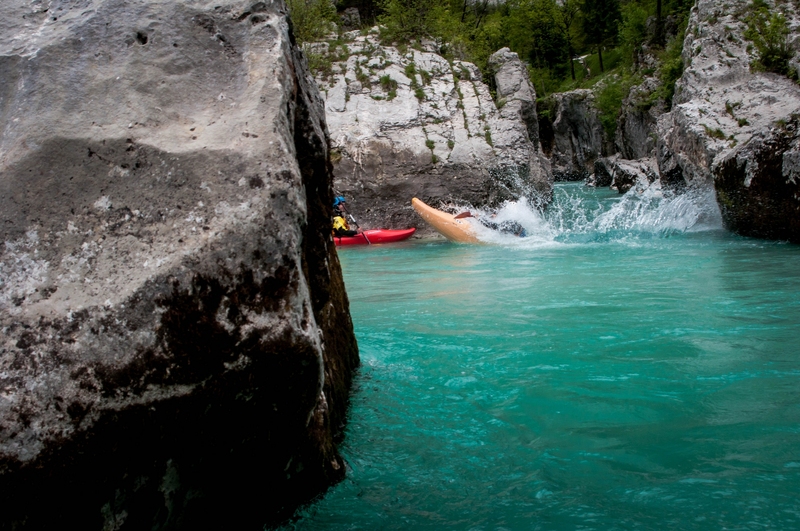 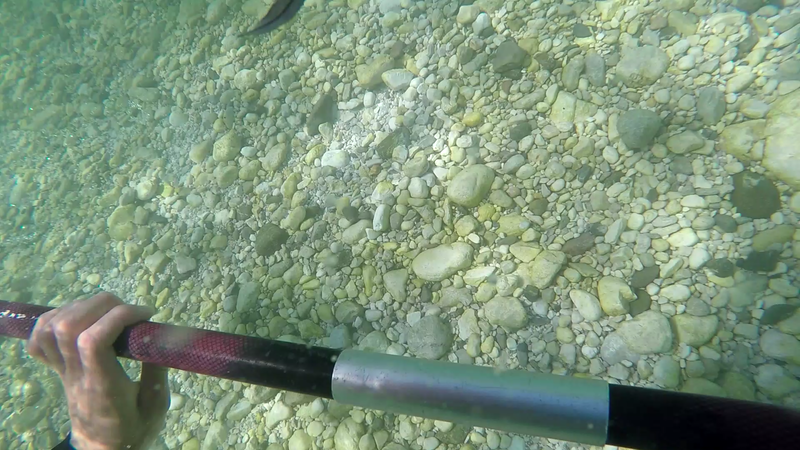 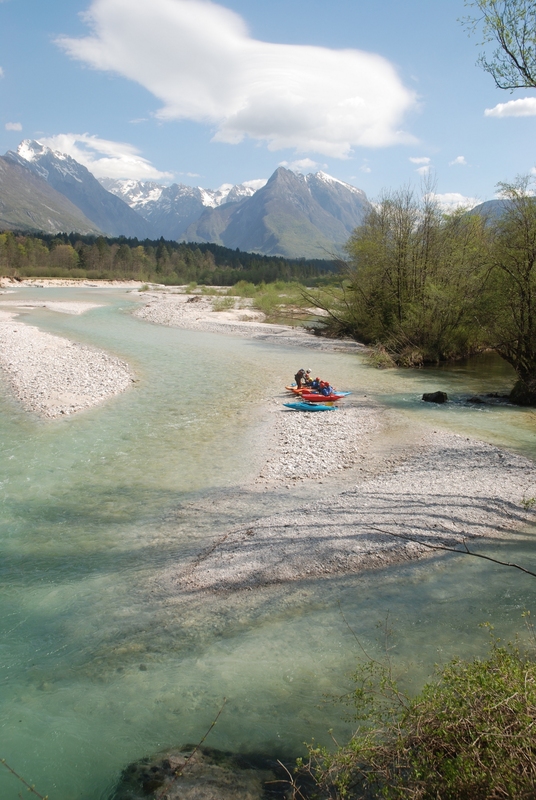 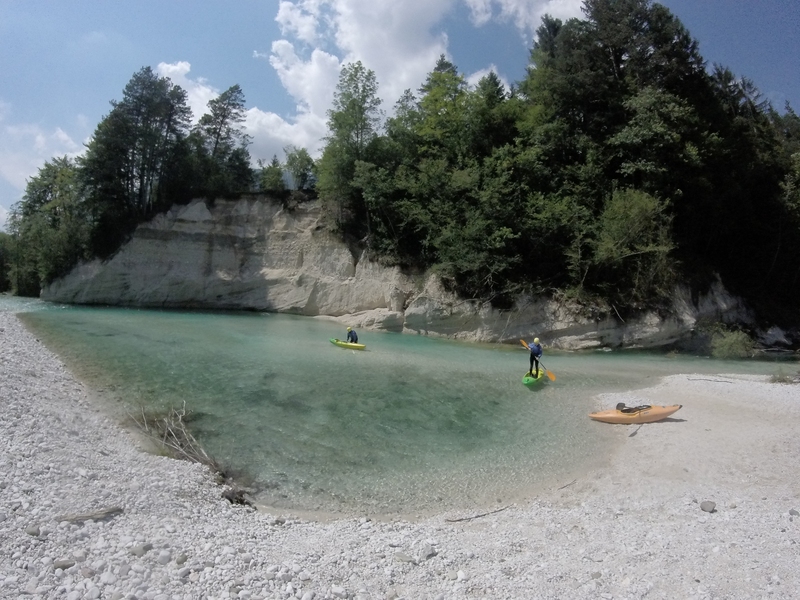 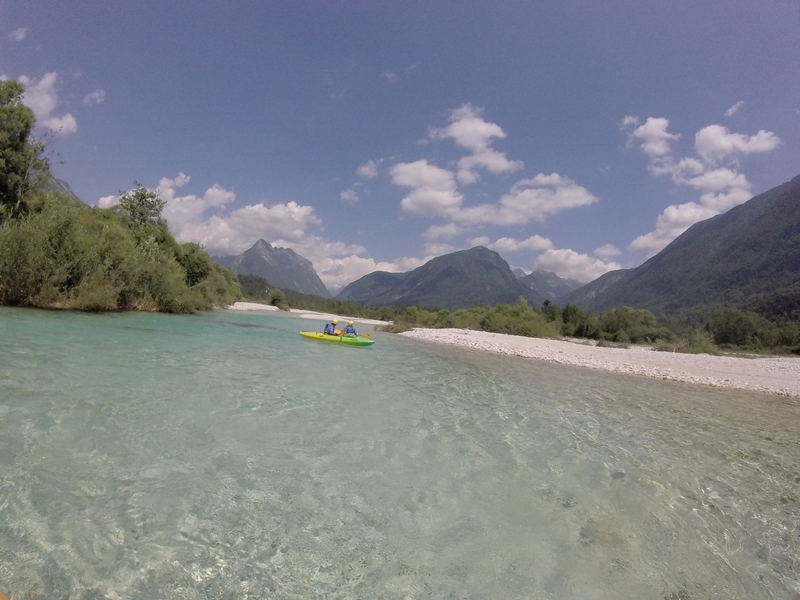 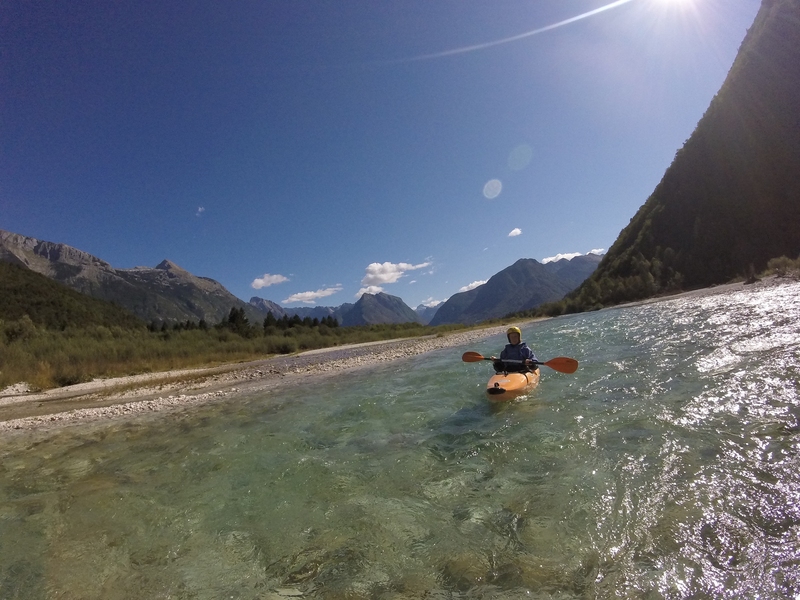 The Soca river offers demandingly diverse sections and therefore we offer for all those who want to learn how to paddle in a kayak and try these sections on the river, a kayak school, which lasts for two days two hours a day. 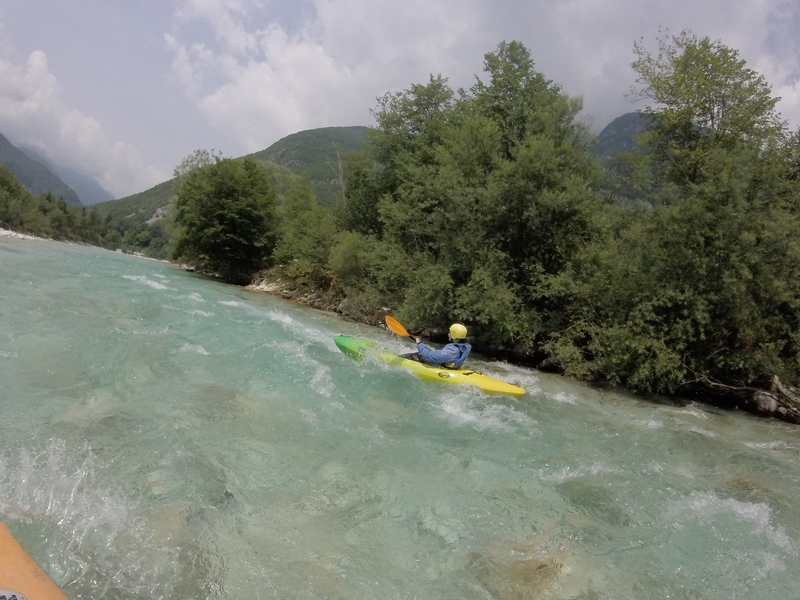 If you want to learn kayaking more than just two days or have a private lesson we can also arrange that. 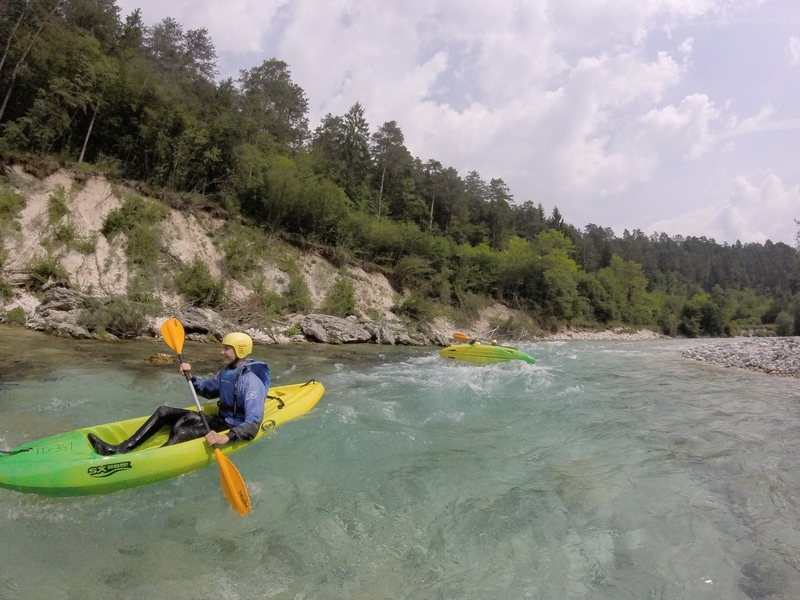 After our kayak school you will be able to enjoy also other rivers around the world, as you will receive sufficient knowledge from us. 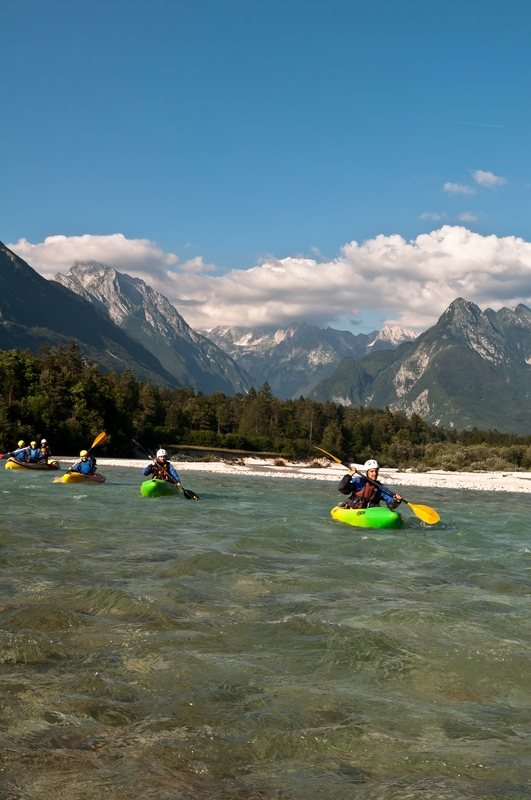 One of the most important figures in kayaking is an eskimo roll and we offer you to leran it with us. 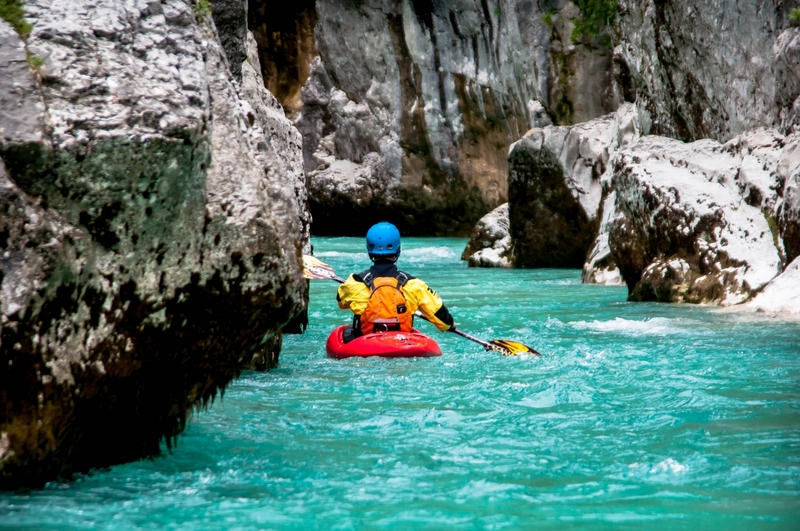 This will make you much more self-confident in the kayak and you will be able to overcome more and more difficult parts of the river. 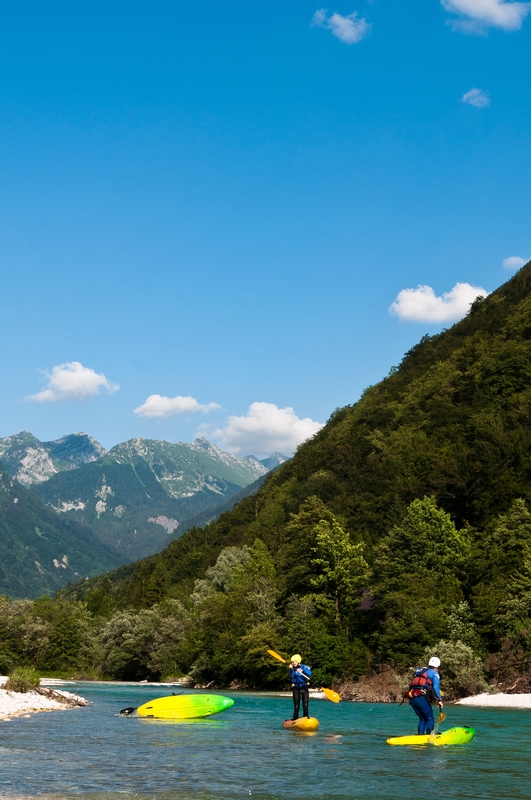 All rights reserved © Alpe Šport Vančar d.o.o. 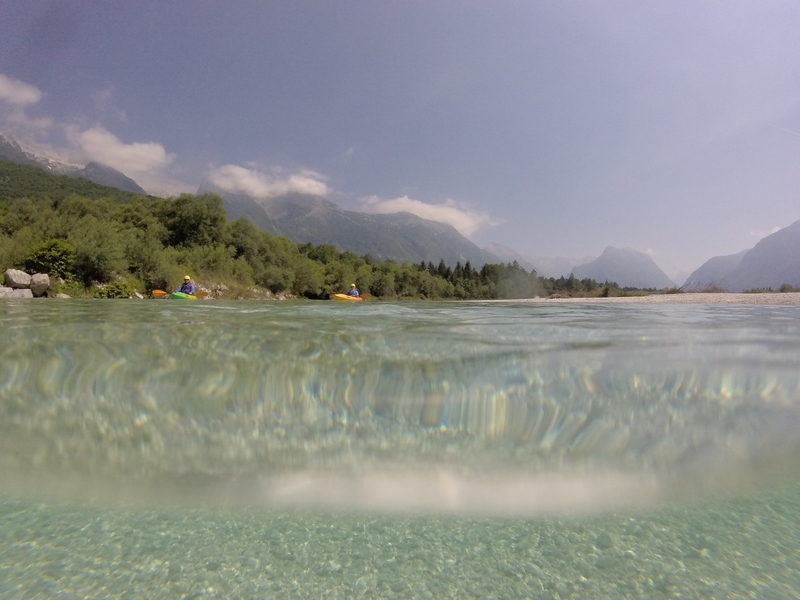 Website created by: Carpediem d.o.o.